How Alzheimer's Disease Is Diagnosed? How Alzheimer’s Disease Is Diagnosed? Alzheimer’s disease can be prevented with right steps taken early on. Even the progress of disease further, can be stopped with our specially formulated Homeopathy treatment for Alzheimer’s disease. But reversal of symptoms can take longer and needs a lot of patience from the patient’s family. We have helped a lot of patients of Alzheimer’s disease with our CUREplus treatment for Alzheimer’s disease. Visit one of our Welling clinics or talk to our specialist for detailed assessment. Alzheimer’s disease is a form of dementia but is not necessarily caused by the same factors which cause other forms of dementia. However, despite a considerable amount of research, the actual cause of the disease remains unknown. There is no single test to determine whether someone has Alzheimer’s disease. 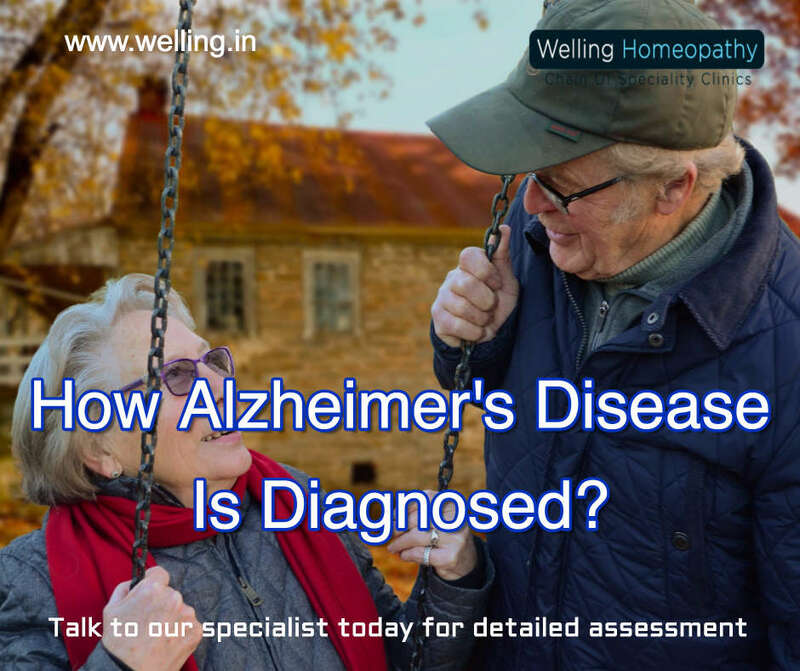 What is most important is getting it diagnosed early from a specialist and getting started with the Welling Homeopathy treatment for Alzheimer’s disease. We strongly believe, Homeopathy treatment is the only answer for long-term relief of Alzheimer’s disease.